Get the sleek salon look for your hair with the Nova hair dryer. 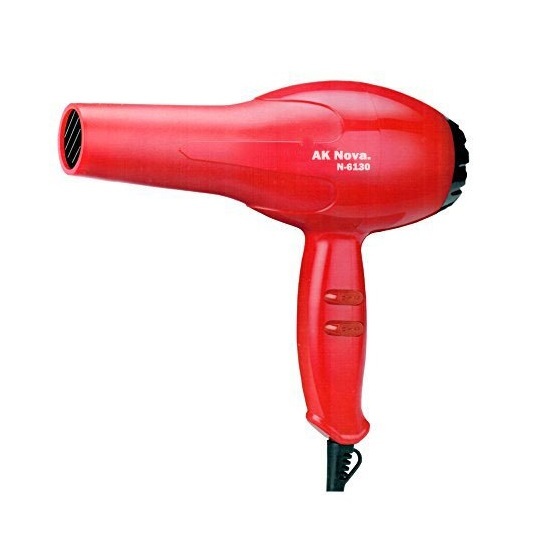 It is an 1800W cool-shot hair dryer that can be used to quickly dry up your wet hair as well as style it up. The hair dryer features a styling nozzle that is designed to push the airflow from the hair dryer to areas of your hair where you want it to concentrate the air flow.Nova professional Hair Dryer granted the sound is more quiet than a Regular Hair dryer, so that it will not irritate you. The perfect Heat and speed, makes your hair soft, shiny,silky and smooth. Color Will be Send as per Availability.